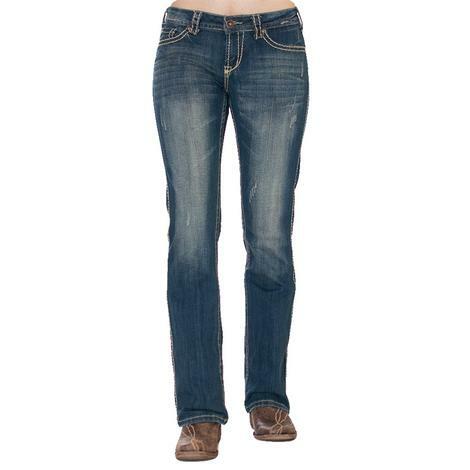 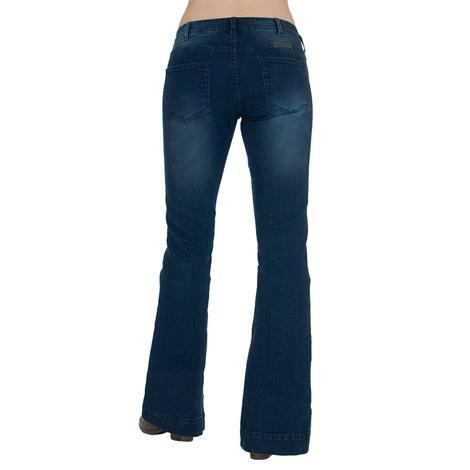 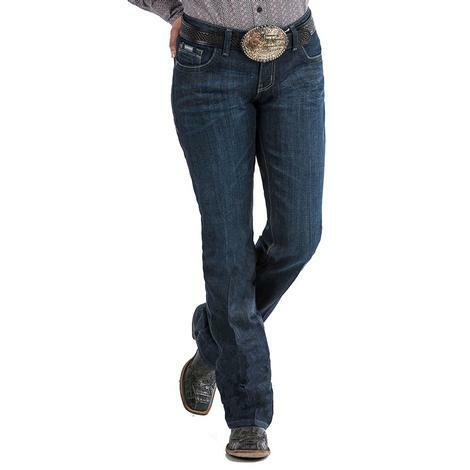 These jeans by Cowgirl Tuff have a relaxed fit with natural waist which means they have a slightly higher rise that sits comfortably at your waistline and are more relaxed at the hips and thighs. 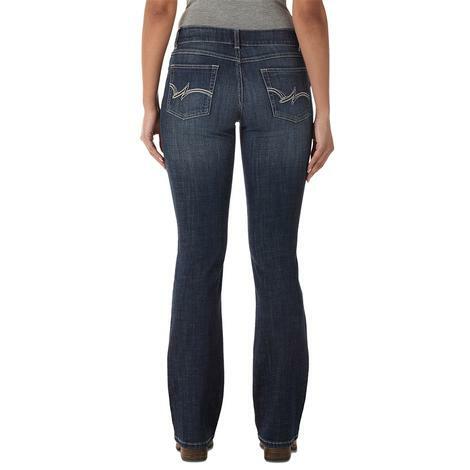 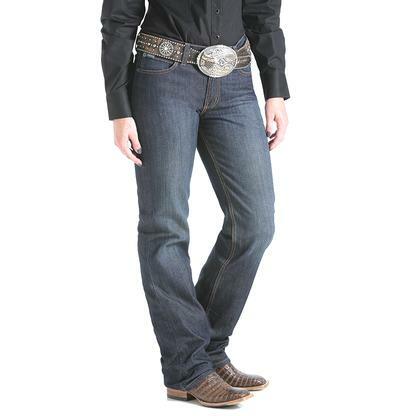 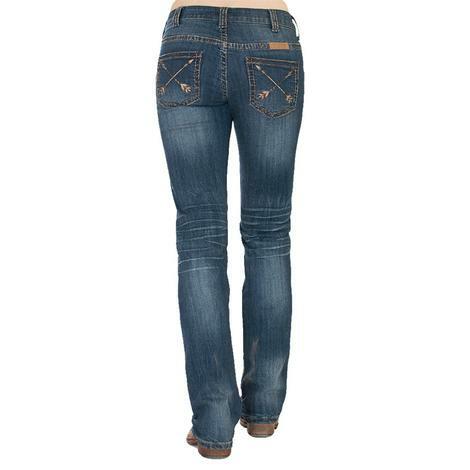 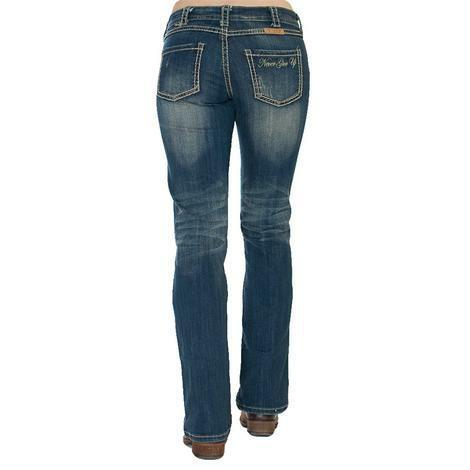 Other features of these jeans include black stitching throughout, light whiskering and Cowgirl Tuff's signature barbed wire stitching on the back pockets. 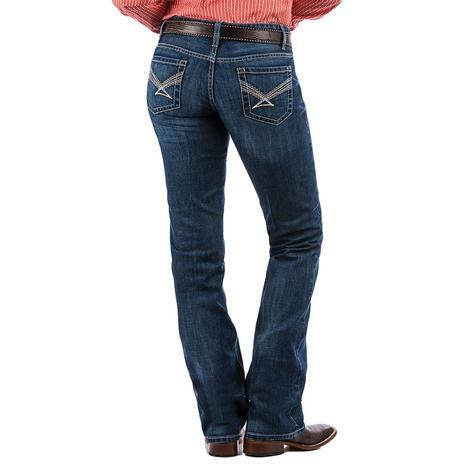 These classic outlaw jeans by Cowgirl Tuff feature beautiful gold and red stitching, light distressing, light whiskering and a classic back pocket. 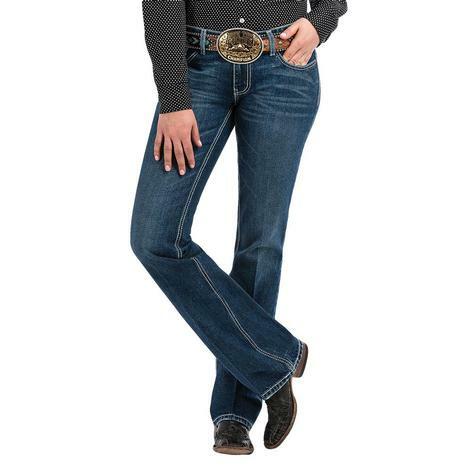 Made with 98% cotton and 2% spandex. 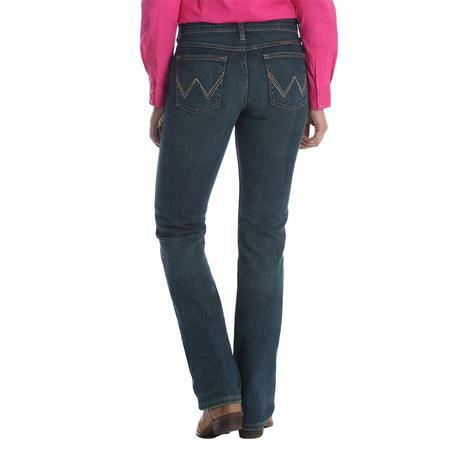 The Ada by Cinch is made with the perfect blend of cotton and polyester that gives just the right amount of stretch for a form flattering look. 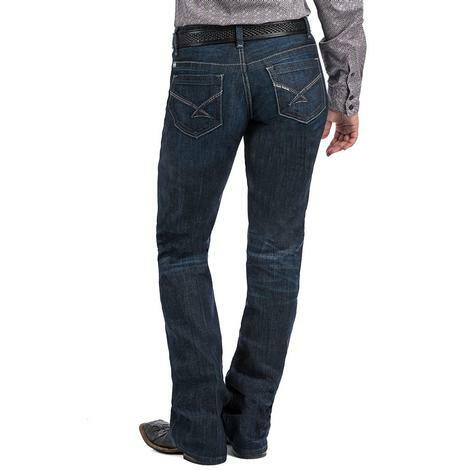 Features include five functional pockets, back pocket embroidery, and a dark stone wash look that's unmatched! 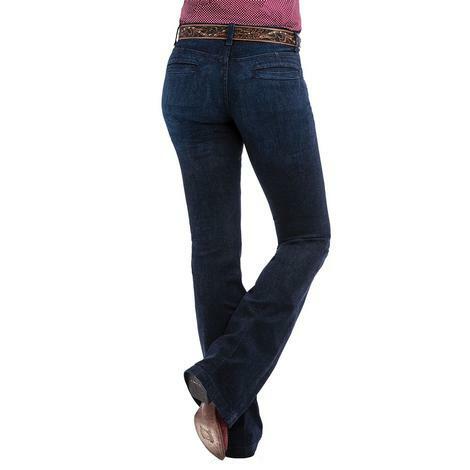 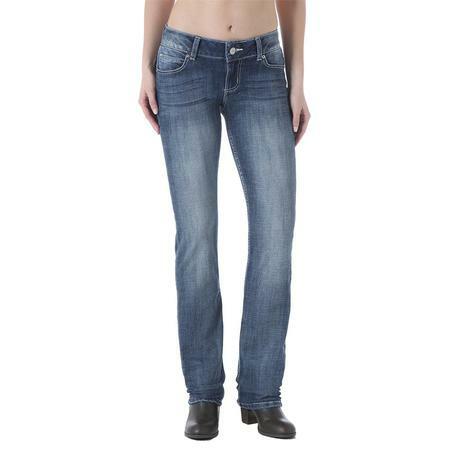 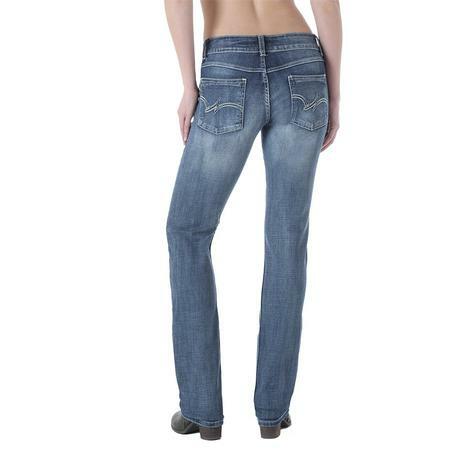 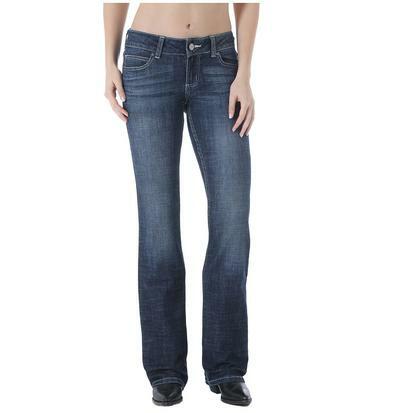 Boot cut so your favorite pair of boots will fit underneath without a problem.